Plants expressing artificial small RNAs (sRNAs) that are designed to silence essential genes in pathogens have shown promise in controlling eukaryotic pathogens and parasites. However, how sRNAs contribute to immunity during natural infection remains poorly understood. Here, we show a specific sRNA pathway that is important for defense in Arabidopsis thaliana during the infection of a filamentous pathogen Phytophthora capsici. Phytophthora causes some of the most destructive plant diseases that lead to hundreds of billions of dollars economic loss in global agriculture each year. In Arabidopsis, perception of P. capsici induces the production of secondary small interfering RNAs (siRNAs) generated from transcripts of pentatricopeptide-repeat protein (PPR)-encoding genes. These PPR-derived siRNAs specifically silence target genes in P. capsici, acting as executors of a natural host-induced gene silencing. Production of PPR-derived secondary siRNAs presumably amplifies the number of targets and enhancing their silencing. As such, this evolutionarily conserved mechanism may maintain a diverse siRNA pool as “secret weapons” to silence pathogen genes. However, this defense mechanism is compromised by a Phytophthora effector PSR2, which specifically impairs the biogenesis of PPR-siRNAs in Arabidopsis. PSR2 contains seven tandem repeats of a conserved structural module that is highly prevalent in Phytophthora effectors. We have identified the host target of PSR2 and also solved its crystal structure. This study discovers a role of secondary siRNAs in plant immunity through cross-kingdom gene silencing and establishes a new paradigm of host-pathogen arms race including both defense and counter-defense components. 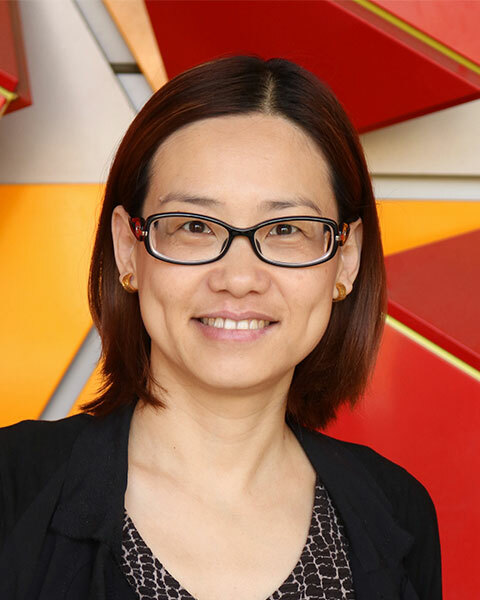 Wenbo Ma is a professor at the Department of Microbiology and Plant Pathology, University of California Riverside. Research in her laboratory aims to understand the arms race between plant hosts and microbial pathogens. A main focus is on the virulence mechanism of effectors, produced by bacterial and Phytophthora pathogens, that directly manipulate plant immunity. Bio: Wenbo Ma is a professor at the Department of Microbiology and Plant Pathology, University of California Riverside. Research in her laboratory aims to understand the arms race between plant hosts and microbial pathogens. A main focus is on the virulence mechanism of effectors, produced by bacterial and Phytophthora pathogens, that directly manipulate plant immunity.